Neymar knew the responsibility was his. An increasingly anxious host nation was relying on him to ensure Brazil avoided the almost inconceivable prospect of going out in the group stage of a World Cup on soil. The 22-year-old Barcelona striker delivered on the weighty expectations Monday, setting the Selecao on course to clinch its place in the knockout stage with two precision first-half goals in a 4-1 rout of Cameroon. 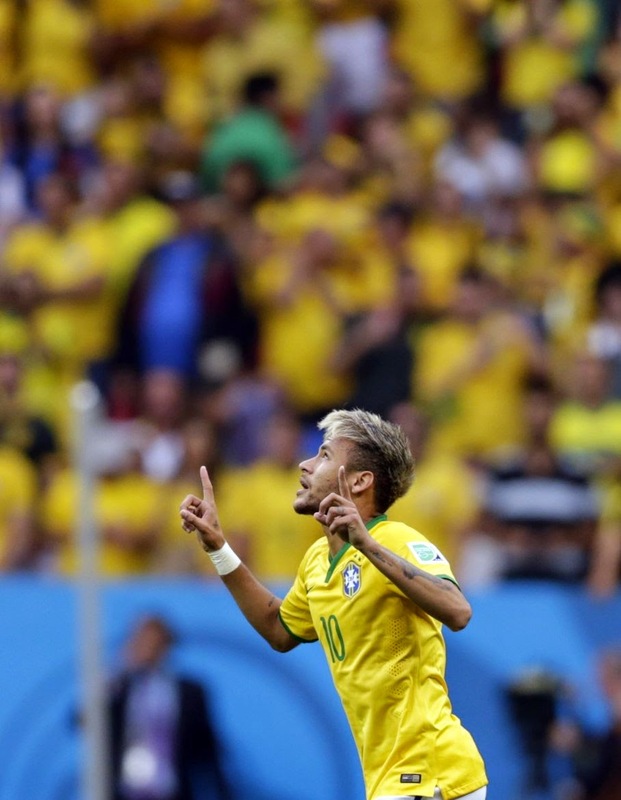 "I have the responsibility to go out there and help my teammates," said Neymar, the World Cup's leading scorer with four goals. "We all did well today and got the result that we needed." He had already been decisive in the 3-1 opening win over Croatia, when he also scored twice to lift a struggling Brazil. Fred and Fernandinho added second-half goals to ensure top spot in Group A for Brazil, which will face South American rival Chile in the second round. More important than the widely expected victory, though, was a performance that restored the confidence of fans after two disappointing matches. 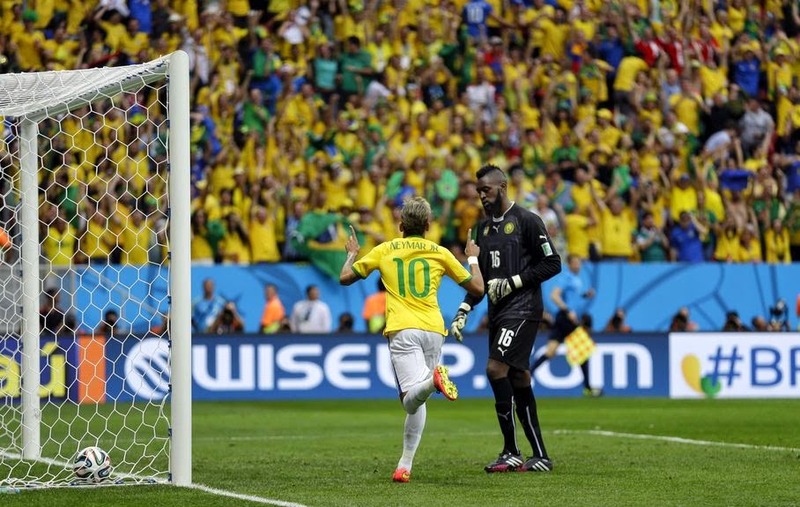 "It was our best match," Neymar said. "Not only because of the result but also because of how we played. We pressured our opponent just like we wanted. We deserved this result - everyone in the team deserves credit for what we did today." 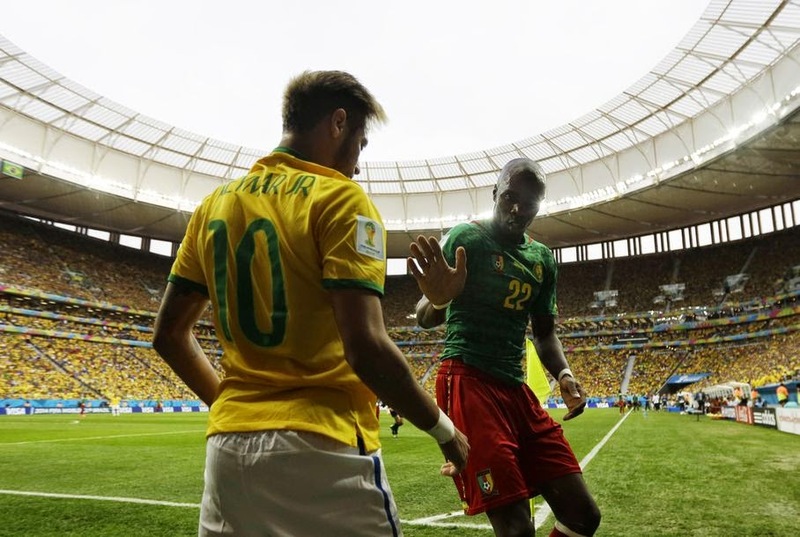 Neymar scored on either side of midfielder Joel Matip's goal for Cameroon in the 26th minute. He opened the scoring off a low cross by midfielder Luiz Gustavo in the 17th, deftly side-footing the ball home from close range, then restored the lead with a low right-foot strike from the top of the penalty area in the 35th after a pass by left back Marcelo. Fred, who had been loudly criticized for his lackluster performances, scored with a header from close range after a cross by defender David Luiz from the left in the 49th minute. And Fernandinho, who replaced Paulinho in the second half, poked in from short range in the 84th. 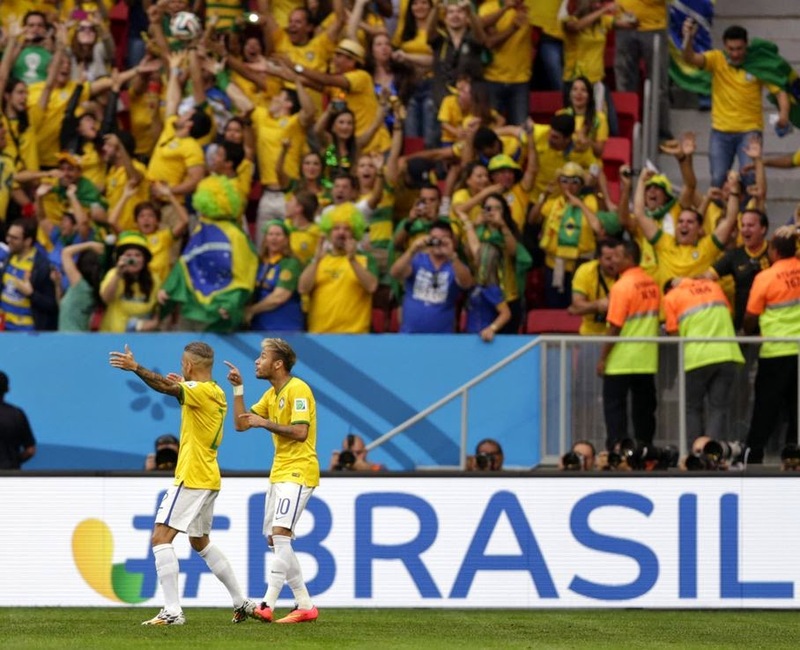 "I liked how the team played," Brazil coach Luiz Felipe Scolari said. "There were some highs and lows, but in general we improved a little bit more. We are progressing match after match and that's important." Brazil finished Group A with seven points after a 0-0 draw with Mexico and two wins. It ended with the same points as Mexico, but had a better goal difference. The Mexicans eliminated Croatia with a 3-1 win in Recife. "We knew we had to do better today," Brazil striker Hulk said. "We had to play better and we did." 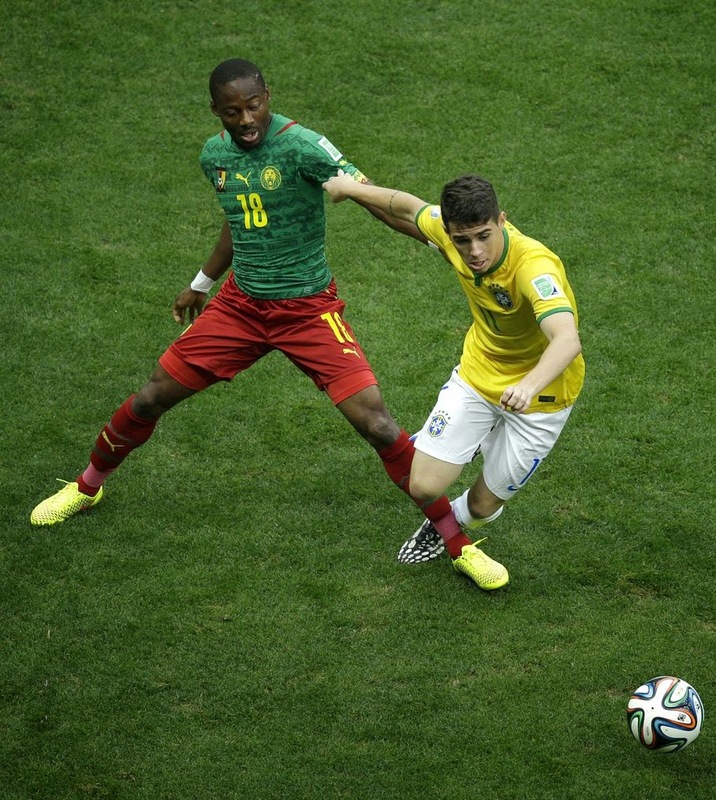 Playing in its 100th World Cup match, Brazil needed at least a draw to advance. Elimination in the group stage would have been unthinkable for the five-time world champions playing at home. The only team to play in all 20 World Cups, Brazil has advanced to the second round in every tournament since 1970. 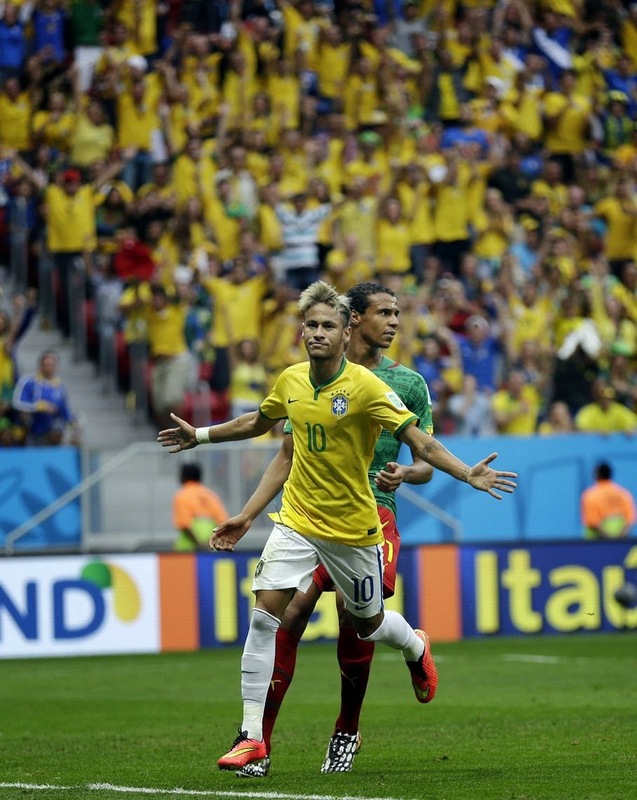 Boosted by a crowd of nearly 69,112 at the Estadio Nacional in the nation's capital, Brazil began the match pressuring Cameroon and created many scoring chances early. But the African team eventually picked up the pace and was able to keep the hosts from threatening too much. 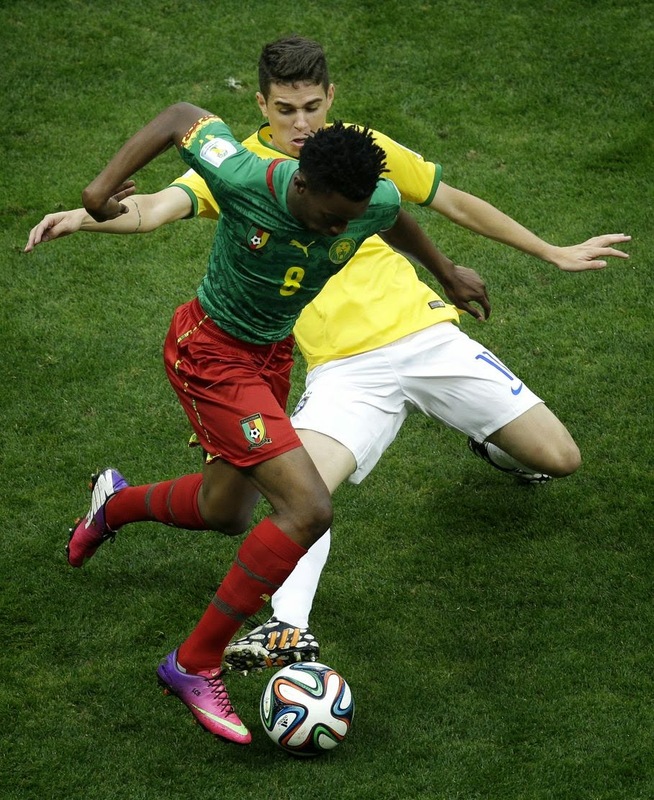 Despite playing without Samuel Eto'o because of a lingering right knee injury, Cameroon had a few good chances, even when the match was level in the first half. 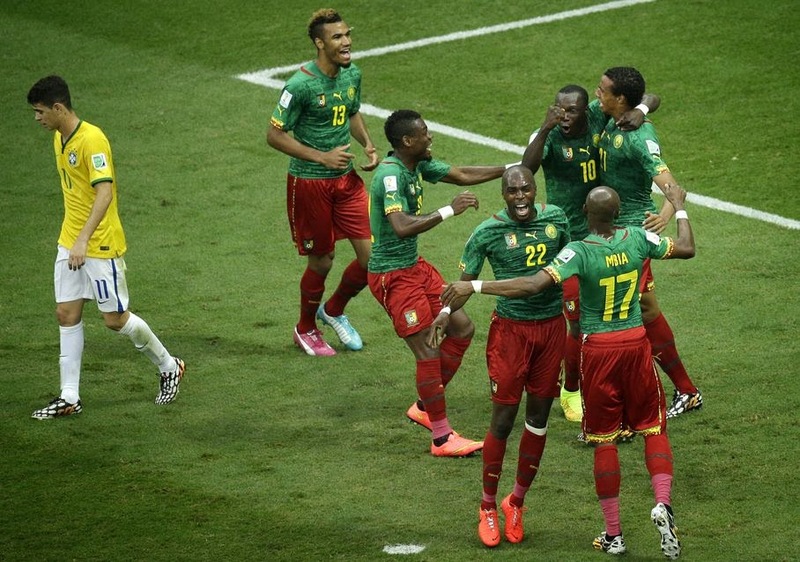 "The first half was not so bad, but we need to focus for 90 minutes, and this is not the first time that this happened," Cameroon coach Volker Finke said. "Some goals were not needed, three times we had the control of the ball and we lost it." Cameroon, which hasn't advanced to the second round since becoming the first African nation to reach the World Cup quarterfinals in 1990, likely saw Eto'o playing in his final World Cup. The 33-year-old striker, in his fourth World Cup, is the team's all-time leading scorer. Brazil: Julio Cesar, Dani Alves, Thiago Silva, David Luiz, Marcelo, Luiz Gustavo, Paulinho (Fernandinho, 46), Oscar, Hulk (Ramires, 63), Neymar (Willian 71), Fred. Cameroon: Charles Itandje, Nicolas Nkoulou, Landry Nguemo, Benjamin Moukandjo (Edgar Salli, 58), Allan Nyom, Vincent Aboubakar (Pierre Webo, 72), Henri Bedimo, Eric Maxim Choupo-Moting (Jean Makoun, 81), Stephane Mbia, Enoh Eyong, Joel Matip.